WISB are proud to announce their participation in the organisation of a FEBS Advanced Course. 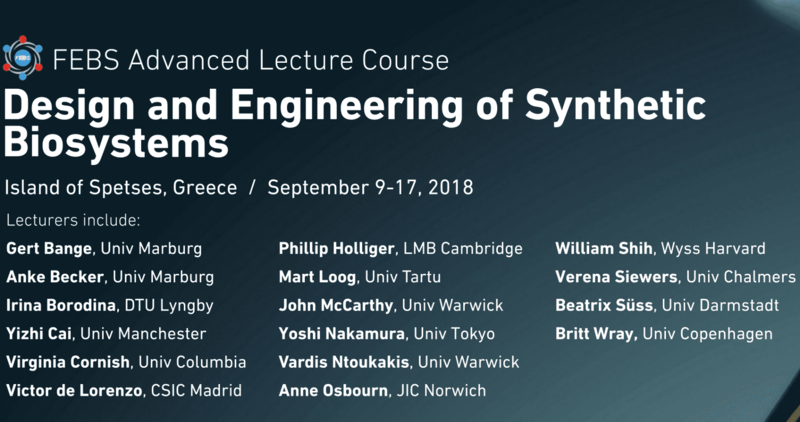 Entitled Design and Engineering of Synthetic Biosystems, the course will run from 9-17 September in the island of Spetses in Greece. For more information, please visit the FEBS website. If you would like to have an informal discussion about the course, please email Dr Corinne Hanlon on wisb@warwick.ac.uk.